The Moto X (1st Gen) gave its rivals a tough time. The 2nd Gen pushes the boundaries even further. 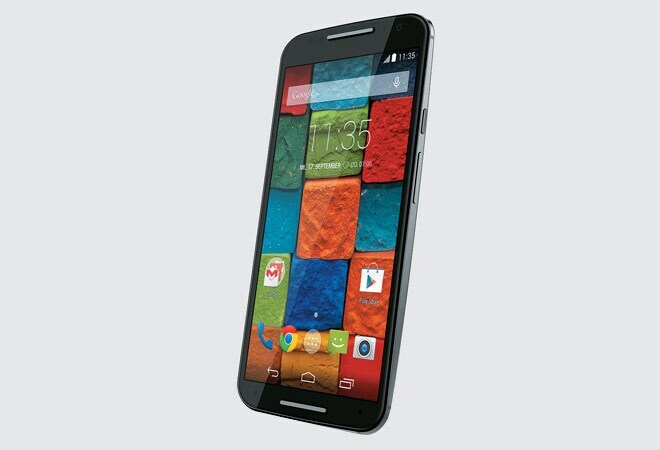 Improvised highly over its predecessor (1st Gen), the new Moto X (2nd Gen) has grown thinner into a sleek phablet. It has a 5.2-inch full HD AMOLED display in a plastic body with metal chassis. Though the display is big, it can be operated with a single hand, and this includes typing. The back has a rubberised finish that is prone to scratches. Continuing with the touchless control, its display illuminates when you pick it up. The notifications appear on the lock screen and can be accessed by holding the icon. The voice assist software that worked beautifully on the 1st Gen, works well on this one too. Other than 'Ok, Google Now', it responds to other terms, such as 'Hello Moto', 'Listen up Moto X', among others, too. It can launch an app, search the web, dial a call and do much more. The 'Motorola Migrate' is onboard and helps transfer data to the device. Another feature worth mentioning is the 'Motorola Connect' that shows incoming calls and text messages on the computer screen with the help of a Google Chrome extension. You can even reply to a text from your PC. Unlike the 1st Gen, which had dual co-processors for listening and tracking activity, the 2nd Gen has just one. It has a 2.5 GHz quad-core processor on Snapdragon 801 chipset, 2 GB of RAM, and 16 GB internal storage. However, our review unit found 8.09 GB of total space, of which only 7.28 GB is user accessible. There is a nano SIM slot at the top. The overall performance is smooth and there isn't any lag with multiple apps running in the background. However, the device did heat up after long gaming sessions. The images captured by the 13 MP camera, with dual LED flash, are crisp and the colours look natural when captured under bright light. When you are holding the phone, simply twist your wrist twice to launch the camera app. Finally, the 2300 mAh battery onboard lasts a day on heavy use.